Width 36 ft. 6 in. Approx. Height 17 ft. 8 in. 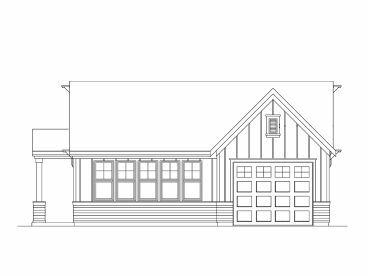 With its just-right-size, this 1-car garage with workshop is perfect for hobbyists and the family handyman. The garage bay works well for a pickup truck or storage of smaller motor vehicles such as an ATV or golf cart. A 10’x8’ garage door and a 9’ ceiling outfit this space. To the left, windows fill the workshop with natural light. 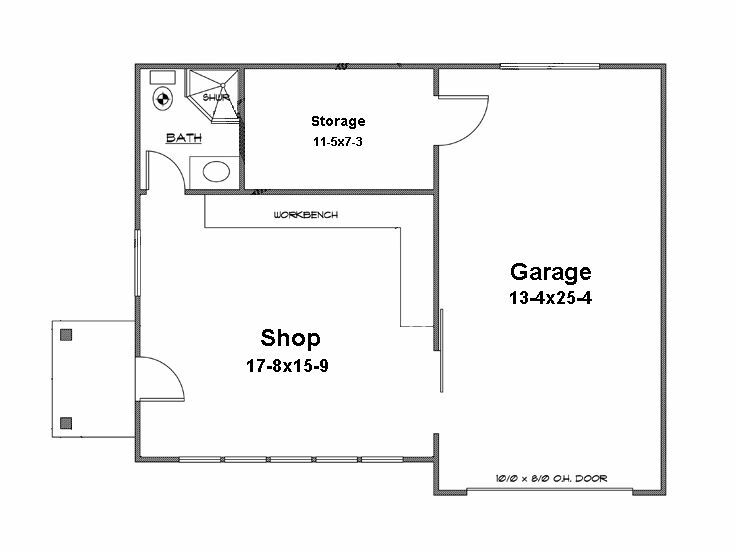 You’ll appreciate room for a workbench and the handy covered porch and side-entry service door. A full bath provides a great place to clean up after working on a dirty job in the yard or repairing a vehicle. 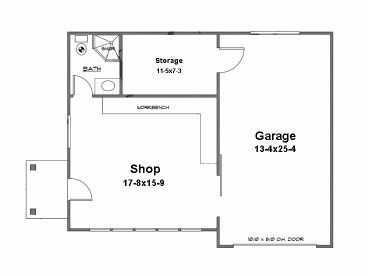 And don’t miss the storage space, a great place to lock up tools or hazardous chemicals such as fertilizer that may be harmful to children. 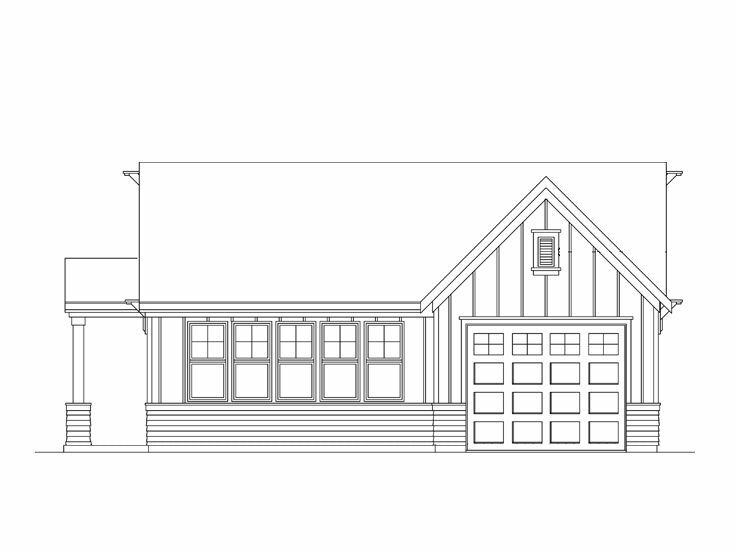 Practical and flexible, this 796 square foot garage plan with workshop and storage is worth taking a closer look.